One of Lytham’s most striking buildings is set to be demolished after all. Fylde Council’s refusal of an application to replace the art deco Green Ridges home on Ballam Road with an apartment block has been overturned at appeal – to the dismay of Lytham St Annes Civic Society as well as a group of neighbouring residents. But the last resident of the four-bedroom 1930s house has joined the developers of the three-storey block of eight apartments intended for the site in greeting the planning inspector’s appeal decision with delight. When the apartment block application went before Fylde’s planning committee in May, councillors particularly objected to the scale of the proposed development as well as the loss of Green Ridges, which was named House of the Year in a national trade publication soon after its construction. Outlining reasons for refusal, planners said the building would lead to the loss of a non-designated heritage asset, that it would “by virtue of its design, scale and height, result in a visually intrusive development that would dominate its surroundings and neighbouring properties”. But after consultants Turley appealed on behalf of developers Purcell and Harrison Hunt, planning inspector George Baird approved the scheme, with a full award of costs made to the developer. He felt the council should have given more weight to the housing supply benefits of the proposal and also said the council provided “nothing in either evidence on the appeal or in the reasons for refusal” to outline why the scheme should be refused based on its own housing policies. He also concluded that Green Ridges was a “non-heritage asset of medium to low significance” and that the benefits of new housing on the site would outweigh the loss of the building. Ahead of the plan going before councillors in May, 19 nearby residents united in outlining their objection to the proposal. Spokesman John Barrett said after the appeal verdict: “We are very disappointed. Many see this as an attack on local democracy – in the current financial climate it could well discourage planning committee members from doing what is right for Lytham St Annes. Green Ridges, which was Architects’ Journal House of the Year in 1936, has been described by Lytham St Annes Civic Society as ‘a good art deco survival, at least on the exterior, which deserves to be locally listed’. Society chairman Marion Coupe said: “The Civic Society view has been that that area is valued for its individually-designed houses set in large gardens. 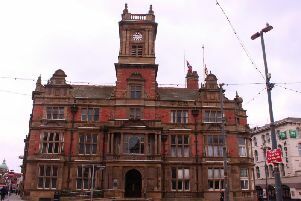 Andrew Stell, Fylde Council’s planning development manager, said: “The Council is disappointed with this appeal decision.